The Island government is not giving the importance for the relationship between the two countries, he alleged. Stalin said the move to take over the boats of Tamil Nadu fishermen is against the decision taken in the six rounds of talks held between the fishermen representatives and governments of the two countries. Chennai: Strongly condemning the taking over of boats of Tamil Nadu fishermen by the Sri Lankan government, political leaders including DMK treasurer M.K. Stalin sought the intervention of Prime Minister Narendra Modi to take steps for releasing the boats and fishermen arrested by the Island Navy. Stalin said the move to take over the boats of Tamil Nadu fishermen is against the decision taken in the six rounds of talks held between the fishermen representatives and governments of the two countries. The Island government is not giving the importance for the relationship between the two countries, he alleged. Expressing shock at the island government's decision, he said the Centre had not come forward to rebuke the Lankan government and protect the rights of Tamil Nadu fishermen. The state government too had not exerted enough pressure on the Centre, he added. Several rounds of talks had been conducted between the fishermen representatives and governments of India and Sri Lanka till now, but no solution had been found. 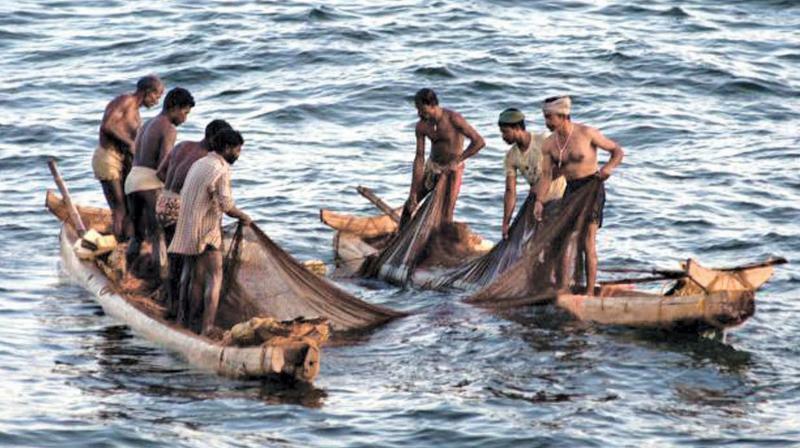 Tamil Nadu fishermen are insisting on fishing rights in their traditional fishing area for which artificial boundaries had been drawn, but the Island government is adamantly refusing to accept the demand. TNCC chief S. Thirunavukkarasar said the Lankan government's move showed that it did not respect Narendra Modi's government and added that the Island government's announcement also betrays its lack of interest in solving the fishermen issue. Describing the move as a direct challenge to the Indian government, MDMK general secretary Vaiko alleged that the BJP government at the Centre has been sacrificing the interests of Lankan Tamils for the Island nation's friendship. The approach of the Indian government is the reason for the Lankan government's arrogant action, he charged. CPI state secretary R. Mutharasan said while India is claiming that Lankan is a friendly country, but the Island nation had arrogantly come out with such an announcement. The Lankan government's arbitrary announcement stems from the Indian government's move of acceding Katchatheevu to Lanka, he complained.